Wednesday - I'm taking a break from blogs about .... increasing natural disasters that echo on, personal issues that highlighting and often conclude during Mercury Retrograde, and 2010 Times Square car bomb attempt to segue south of the border to Mexico. I know that Cinco de Mayo is not a major Mexican holiday, but to those who celebrate ... enjoy. Have you ever been to Mexico? I've been to different places on three separate occasions, and have enjoyed my vacations each time. Many people are drawn to the sacred sites, which include the pyramids and other landscape art and architecture, some allegedly situated on powerful grid lines, raising consciousness and awaken something within - something that needs to be remembered now more than ever. In the past there were few Mexicans living here. Spanish cultures predominately included Puerto Ricans and often Cubans. But things are changing. Today we find Mexicans in many areas, often illegal immigrants, who, like everyone else, come to the city for some greater destiny that hopefully will be more positive. A male friend recently told me an interesting story about our local area. Driving home one Friday evening, around 6pm, he stopped at a red light. Several Mexican men were standing on the corner talking. Suddenly a car pulled up and two black men got out. They waked over to the Mexicans, and in the time it took for the street light to change, held a gun to them, took their money, jumped back in their car and raced off, as people stood by in disbelief. I'm not sure what happened after that as my friend drove away quickly also. He believes that this is not an isolated incident as the Mexicans are illegal and therefore victims of street crimes, which they cannot report. 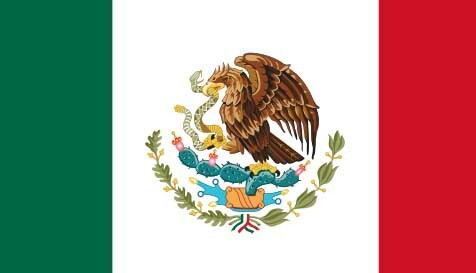 The United Mexican States is a federal constitutional republic in North America. It is bordered on the north by the United States; on the south and west by the Pacific Ocean; on the southeast by Guatemala, Belize, and the Caribbean Sea; and on the east by the Gulf of Mexico. Covering almost 2 million square kilometres (over 760,000 sq mi), Mexico is the fifth-largest country in the Americas by total area and the 14th largest independent nation in the world. In Pre-Columbian Mesoamerica many cultures matured into advanced civilizations such as the Olmec, Toltec, Teotihuacan, Maya, Aztec, and the Zapotec, before the first contact with Europeans.